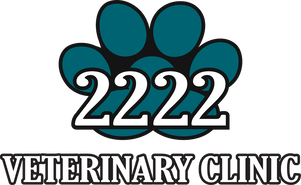 The 2222 Veterinary Clinic is a full service small animal veterinary hospital equipped with advanced diagnostic and treatment tools. Our knowledgeable, caring staff strives to provide the best care for your loved ones. Our comprehensive services range from routine wellness exams and vaccinations to critical care and surgery. We look forward to providing your pets with cutting edge veterinary care, while ensuring the compassionate treatment they deserve.